Time to dig out that cape and tiny pants, readers: this new trailer for upcoming Batman adventure The Brave and the Bold is sending out the Batsignal into the night sky. 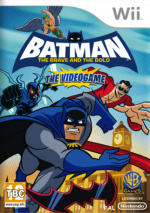 Despite sounding like an American daytime soap opera, Batman: The Brave and the Bold is based on the cartoon series, putting players in control of the Caped Crusader himself as well as Robin, the Green Lantern and everybody's favourite, the Blue Beetle. Two-player co-op play for the Wii version is to be expected, but the ability to link up the DS and Wii versions to unlock Bat-Mite and other new features is an intriguing idea. Being developed by WayForward Technologies of A Boy and His Blob fame, perhaps the most exciting thing about this title is the full hand-drawn animation that looks set to mimic the show's dynamic action well. Here's the Bat-trailer to get all Bat-excited about. "The Brave and the Bold" - cartoon series? Never heard of it. I'd prefer that they based it on the classic Batman: The Animated Series instead, but it does look like a lot of fun from the trailer. I'm guessing by the trailer that the cartoon went for the campy vibe? Can't say I'm looking forward to this one. Youtube took the video down and I'm too lazy to find the other one. First off I love the animated series. Don't compare Brave and the Bold to the animated series its unfair. I love both for different reasons. I can't wait for this game, me and my kids love watching the show together. And this is by WayForward! That at least means the animation and "vibe" of the game will be of the best quality. God, the announcer makes it look so lame. Oh, I watched it on mute, being at the office and all. That brings up another question that I won't be able to answer for myself until I watch it properly later: how good is the voice of Batman himself? It's not Kevin Conroy, is it? That alone would knock it up quite a few notches. No Batman voice could be worse than Bale. Thanks for feeding into my laziness! This is worth going [email protected]#$&-crazy over. Not seen the show,but this looks ace.I agree that the original animated show would make a great basis for a game. The original Animated Series (and I would argue Batman Beyond) are still my favorite TV series ever. This coming from a LOST fanatic, but maybe it's because Batman was pretty much my childhood. Having seen a few episodes of the "Brave and the Bold" series, it's basically just so much fodder for Cartoon Network. Mindless, but fun. So in other words, it might make a decent game, especially with WayForward at the helm. This game makes me hurt even more because I still haven't picked up A Boy and His Blob yet. I'll wait for Arkham Asylum 2. I love WayForward, all there games are so prettttty. I want my videogames not to take themselves too seriously unless they are extremely intense FPS. I thought it looked kinda cool. I love that show, so funny. The Joker is made of win. I think this show would make the best basis for a video game, just because of all the wacky villians and evil plots you can throw Batman and the other heroes up against. It looks like a lot of fun. Cool hand drawn animation, too! That looks freaking good, way to to WayForward! Going to get this one once it out! 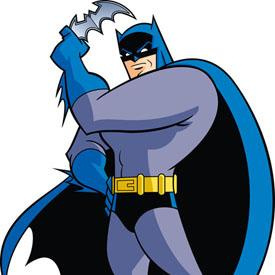 I am a Batman fan and really loved the original animated series in the 90's. The newer series is pretty decent, and WayForward did a great job at capturing the essence of the show. I may have to pick this one up! Since WayForward is doing it, it's bound to be good. They did Shantae, after all. The Brave & The Bold is a totally rad cartoon. It's about time someone put the fun back in the caped crusader! I was actually hoping that this would end up like....well, like a GOOD version of what Activision tried to do with Spider-Man Friend or Foe. I'm kinda shocked that they went with an uber old-school 2D look -- it looks like a sequel to the old Genesis (Mega Drive) and SNES game, "Batman: The Animated Series". Which is kinda...awesome, actually! Plus, it's very clear that they put their Boy & His Blob team on this - that animation is beautiful, and way more fluid than the animation in the actual 'toon, which is really cool. I'm sure Wayforward's going to pump out another awesome game. I'd like to see more of this. Looks great. Cant wait to see more of this. I'm definitely up for a superhero beat-em-up. I thought Marvel Ultimate Alliance was ace, so having something similar for DC is welcome. Going 2D seems to have been a good decision as it harkens back to similar styled Batman games of the past, though this will clearly go far beyond them. The ability to play as Green Lantern or Hawkman is super-cool! Let's hope this turns out better than Marvel Super Hero Squad which sounded potentially cool, but apparently wasn't well-executed. Art looks awesome. It's on my list but there're so many games coming out soon. Only just got No More Heroes 2 ordered! Makes my brain hurt! Apparently, if you press up on the control pad, you can hug Robin. Well, i've never seen the show this is based on, but Batman games are never horrible (unless they're for SNES). I'll keep an eye on this one.